If you are not satisfied with the stock calculator app of your iPhone or iPad and looking for a more powerful calculator app for your iOS devices, this apps list is for you. In this article, you can see 7 most powerful calculator apps for iPhone and iPad. 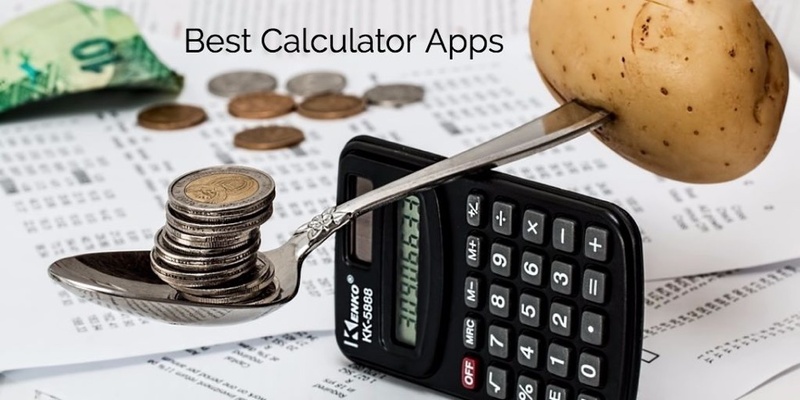 There are lots of useful calculator apps available on Apps Store but we have only selected 7 best and powerful calculator apps. You can use any of these best and amazing calculator apps on your iPhone and iPad. 1. 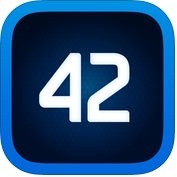 PCalc - The Best Calculator ( iPhone + iPad + Apple Watch ) :- If you are looking best, powerful and scientific calculator apps for your iPhone, iPad and Apple Watch, you can use PCalc app. 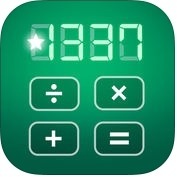 This calculator app has lots of amazing and user-friendly features such as RPN mode and multi-line display, as your choice layouts button, conversions and constants, a paper tape, multiple undo and redo, engineering & scientific notation, support as hexadecimal, octal and binary calculations and more. 2. Calc Pro - The Top Mobile Calculator! 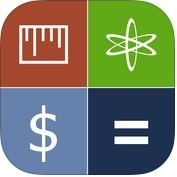 ( iPhone ) :- Calc Pro has lots of amazing and helpful rich features such as 10 powerful calculators, scientific calculator, graphing calculator, converter of more than 150 world currencies, unit converter more than 3000 conversions in 18 categories, solve your common financial problems and more. 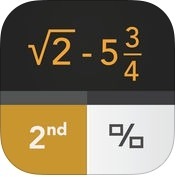 You can solve the toughest calculations on your iPhone with Calc Pro. With the Calc Pro app, you can also check the latest currency rates or convert and measure cooking simply and easily on your iPhone. 3. Calculator HD+ Pro ( iPhone + iPad + Apple Watch ) :- Calculator HD+ Pro is one of the best, fantastic and rich featured calculator apps for your iPhone, iPad and Apple Watch. This powerful calculator app has several unique features such as high precision engine, multiple undo, persistent history, right/left handed mode, switch between workspace, share history and more. You can also use specialized keypad on your iPhone and iPad. 4. 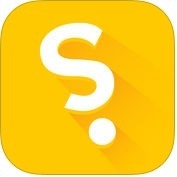 Soulver - the notepad calculator ( iPhone + iPad ) :- Soulver-the notepad calculator app is one of the best, powerful and awesome full-featured calculator apps for iPhone and iPad. This powerful calculator app has unique and a very easy to use user interface that works like a charm. Soulver has many cool features such as instant answers as you type, support 9 different percentage phrases, supports more than 150 currencies, special keyboard for quick access and more. You can also spread your calculations over multiple lines and get reference previous answers in your current line. 5. Scientific Graphing Calculator ( iPhone + iPad ) :- This powerful calculator app for iPhone and iPad has lots of usual arithmetic functions and exponentatiation with define clearly. 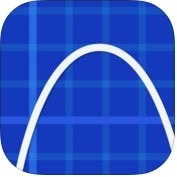 Scientific Graphing calculator app is one of the best and fantastic scientific and graphing calculator apps for iPhone and iPad. With the help of this calculator app, you can define and name your own constants, you can drag the graph or pinch to zoom in or out, you can calculate and find roots and intersections, you can grap in polar coodinates, parametric equations and more. 6. MyScript Calculator - Handwriting calculator ( iPhone + iPad ) :- If you want to solve any critical sums stresslessly and trickly with mathematical operations naturally using handwriting, you should use this calculator app on your iOS devices. 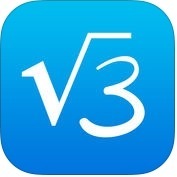 With MyScript Calculator app, you can solve mathematical equations by hand, you can write and calculate mathematical expressions in naturally, you can delete symbols and numbers, you can copy your results to the clipboard, you can save results into memory and You can also retrieve all your past calculations, ready for reuse and export on your iPhone and iPad. If you are looking for a free, unique and powerful calculator app for your iPhone and iPad, MyScript is for you. 7. Calculator + ( iPhone + iPad + Apple Watch ) :- Calculator + app is one of the best free calculator apps for iPhone, iPad and Apple Watch. This powerful and accurate calculator app has several amazing and powerful features such as elegant & intuitive interface, supports handwriting & many scientific functions, currency converter, multiple themes and more. If you are looking for a powerful but simple to use calculator app that is available for free on Apple App Store for iPhone, iPad and Apple Watch, Calculator+ app is for you.